1300SFQT CLASSIC 5 on Pre-War Bldg!! Top Floors, Lots of Light, Elevator, Laundry !!! - Full Windowed Kitchen w/ Dish/Washer. - Hard Wood Floors, High Ceilings and Lots of light and windows. 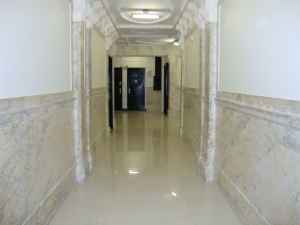 - Pre-War Building w/ Elevator, Laundry and Live-in Super. - Just a couple of blocks from; express trains, trader Joes, Fairway, Lincoln Center...etc. * Call Eduardo to see it!